At DAR Services Ltd we are committed to protect and respect your privacy. This Policy explains when and why we collect personal information about people who contact us through many different communication channels, how we use it, the conditions under which we may disclose it to others and how we keep it secure. We may change this Policy from time to time so please check this Policy occasionally to ensure that you’re happy with any changes – the most up-to-date copy being found on our website at www.darservicesmalta.com. By contacting us you are agreeing to be bound by this Policy. Any questions regarding this Policy and our privacy practices should be sent by email to info@darservicesmalta.com or by writing to DAR Services Ltd 75 / 77 Valletta Road, Luqa LQA1762 Malta. At DAR Services Ltd, we design, supply, install and maintain fire and security systems, network systems, air conditioning and we also do electrical and mechanical works. DAR Services Ltd is a company registered in Malta, company registration number C78681. Registered address 75 / 77 Valletta Road, Luqa LQA1762 – Malta. For the purposes of the Data Protection Act 2018, DAR Services Ltd is the Data Controller. – Our website (when you use our Contact Us page). – Social media (when you send us a direct message). – Exhibition / Trade show enquiries. – Business networking groups enquiries. – A customer who has nominated you and requested your permission to be an alternative contact for a monitored system in the event of a system activation. The personal information we collect might include your name, address, telephone (and/or mobile) numbers, email address and system information if required. If you are paying for a service by debit/credit card we will also ask for your relevant card details, however these are not stored/retained following a successful/unsuccessful transaction. – Supply a quotation you have requested. – Provide details of our products and services at your request. – To carry out our obligations arising from any contracts entered into by you and us. – To carry out our billing / invoicing process. – Seek your views or comments on the services we provide. – Notify you of changes to our services. These may include information about campaigns, new products and services from ourselves, advice and other information relevant to your relationship with us. – Consent (where you have provided us with your personal information so we will be able to contact you and send you information about our products and services). Consent may be withdrawn by you at any time by writing to us a letter or an email. – Legitimate interest (where you have provided us your personal information and it is required by local authorities (including, but not limited to the Police, Fire Brigade) for the purposes of their investigations into events for which they are involved and relates specifically to systems for which we have designed, installed, commissioned and maintained. We review our retention periods for personal information on a regular basis. We are legally required to hold some types of information to fulfil our statutory obligations (such as the collection of VAT, records for Inland Revenue) or obligations that are set by law. We will hold your personal information on our systems for as long as is necessary for the relevant activity, or for as long as you require any monitoring and maintenance contracts you hold with us. Your personal information will be destroyed (hard copy or electronic) securely where no longer required to perform our duties. 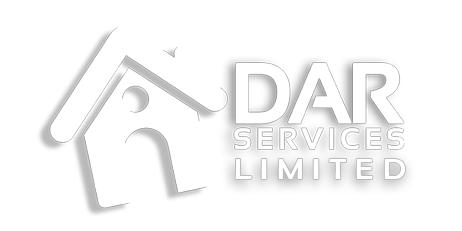 Employees of DAR Services Ltd with the express purpose of managing our relationship with you for the design, supply, installation, commissioning and on-going maintenance and monitoring services. (All DAR Services Ltd employees are required to successfully complete security screening prior to permanent employment with the company). Third Party Product Providers we work in association with: We work closely with various third-party product providers to bring you a range of services to enhance fire and security or air conditioning systems and other related services provided by ourselves or other similar services provided to us. – Local Police – for the provision of police conduct certificate for new employees. – Monitoring stations – for the purposes of providing you notification when your system activates. – Insurance company – for the purposes of providing certification of systems and auditing. – Specialist service providers – where requested by you or required to fulfil our obligations to you, but managed by ourselves. – Mail Chimp – for service updates to all customers via email. We may transfer your personal information to a third party as part of a sale of some or all of our business and assets to any third party or as part of any business restructuring or reorganization, or if we are under a duty to disclose or share your personal data in order to comply with any legal obligation or to enforce or apply our terms and conditions or to protect the rights, property or safety of our employees and customers. However, we will take steps with the aim of ensuring that your privacy rights continue to be protected. You have a choice about whether or not you wish to receive additional information from us and by which communication route. You can select your choices by ticking the relevant boxes situated on the form on which we collect your information or other personal information collection process. We will not contact you for marketing purposes by post, email, phone or text message unless you have given your prior consent. We will not contact you for marketing purposes if you haven’t provided your consent to be contacted (opt-in). You have the right to ask for a copy of the information which our company DAR Services Ltd hold about you. When you give us personal information, we take steps to ensure that it is treated securely. All personal details are stored in our secure server which is backed up via an encrypted transmission to a storage location provided and managed by Microsoft (for the purposes of the company’s disaster recovery procedure). Like with all data transfer routes we cannot guarantee this to be 100% secure. In addition, all personal information transferred within the company for the purposes of fulfilling our obligations to you (such as providing our engineers with your details to enable them to complete their duties) is kept as secure as reasonably possible. Likewise, while we strive to protect your personal information, we cannot guarantee the security of any information you transmit to us, and you do so at your own risk. Once we receive your information, we make our best effort to ensure its security on our systems. Where you provide the company with a password for remotely monitored systems, you are also responsible for keeping this password confidential. We ask you not to share your password with anyone (with exception of your nominated contacts for remote monitoring purposes). It is possible to switch off cookies by setting your browser preferences. Consult the help function of your chosen browser in order to do this. Turning cookies off may result in a loss of functionality when using our website. DAR Services Ltd operates within Malta and Europe only. Therefore, it is ensured by the company that all data is kept inside Europe.